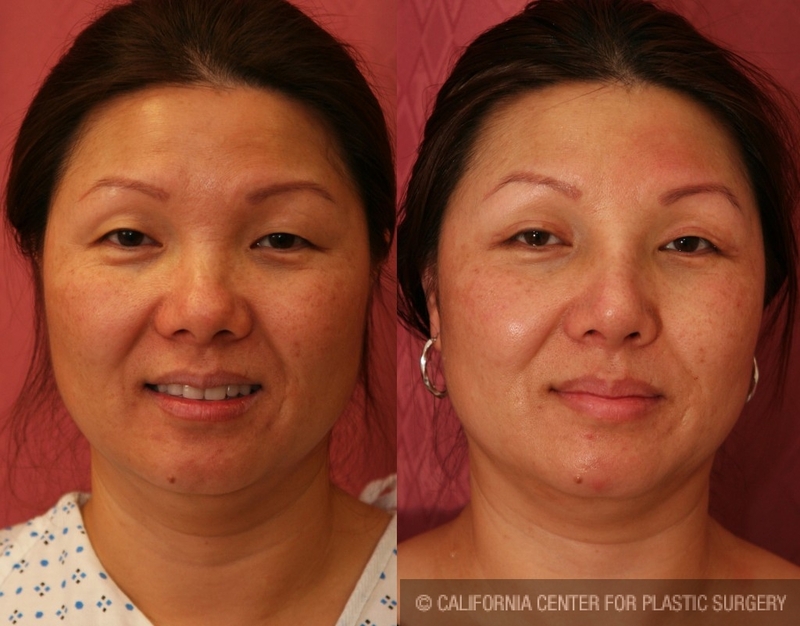 These are before and after rhinoplasty pictures of a Chinese-American woman from Los Angeles who had Asian Rhinoplasty with a nasal implant, as well as Asian Eyelid surgery by Dr. Sean Younai in Encino, CA. Prior to nose surgery she lacked a nasal bridge and her upper eyelids were covering her eyes and making them look too small. As you can appreciate in her post-surgery pictures, she now has a natural looking nasal bridge with more open looking upper eyelids with deep-set eyes. 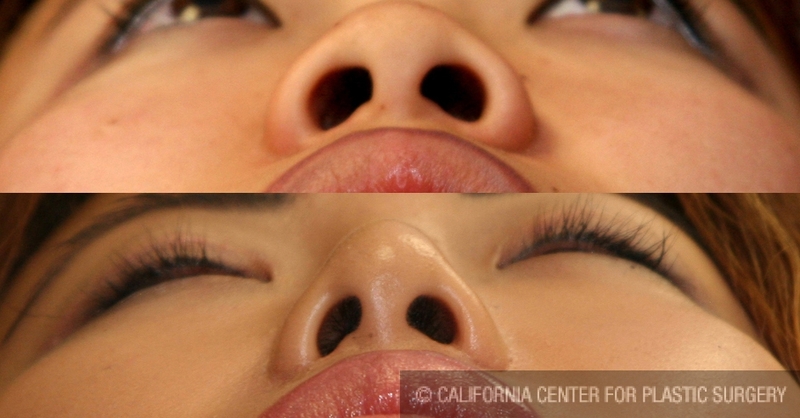 In the second nose surgery picture, you can see the results of Alar resection technique used to narrow her wide nostrils. Overall, she has been very pleased with her natural looking results where she looks more refined and refreshed! Dr. Sean Younai, who is a board certified plastic surgeon routinely, receives patients from Northern and Southern California for Asian Rhinoplasty, as well as Asian eyelid surgery.